Global reinsurance player Swiss Re has released its own measure of earnings performance today, reporting lower Economic Value Management (EVM) income and profit in 2015. But, perhaps more interestingly, the firm also noted its willingness to disrupt and bypass traditional channels to access risk. Like fellow major reinsurers, evidenced just this morning by Munich Re, Swiss Re has reported a decline in its own performance metrics in 2015, which we’ll begin with. The disruption angle is further down, for those wanting to skip to it. Economic Value Management (EVM) is Swiss Re’s own valuation framework, measuring assets and liabilities consistently to give an economic view on its earnings, without the influence of accounting standards. In today’s announcement the reinsurance firm reported annual EVM income of $3.7 billion for 2015, down from 2014’s $5.2 billion. EVM profit came in at $480 million, which Swiss Re said was supported by strong new business, below 2014’s $1.3 billion. Swiss Re puts the decline down to the acquisition of Guardian Financial Services (Guardian) by its Admin Re® division, which resulted in an estimated economic loss at the transactions inception. Also suffering though was the reinsurers economic net worth (ENW) at $37.4 billion at the end of 2015, down from $38.4 billion at the end of 2014. ENW per share was $110.6 (CHF 110.7) as of 31st December 2015, compared to $112.1 (CHF 111.4) at 2014’s close. Swiss Re also missed its economic net worth per share (ENWPS) target of 10% of average annual growth, achieving a very close 9.6% for 2015. Capital intensive transactions like the Guardian acquisition took their toll on Swiss Re’s EVM metrics in 2015, but the reinsurer reported an impressive return over the year with net income for the year of $4.6 billion, and a $3 billion net income within its Property & Casualty Reinsurance division. Now onto the interesting bit of the story. 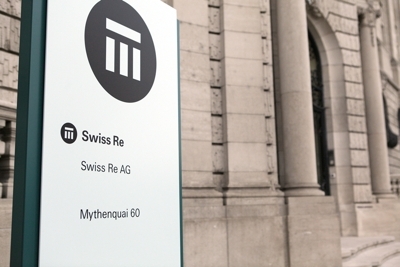 Swiss Re remains focused on a number of initiatives, one of which is putting it into potential conflict with its intermediaries, as the reinsurer seems happy to acknowledge the way the reinsurance market is being disrupted and notes its willingness to gain access to risk in the most efficient way for its capital. This is something that the ILS market has been actively embracing, with ILS managers positioning themselves closer to the source of risk, or into markets such as Lloyd’s, in order to gain greater access to risk and in some cases disintermediate the market to a degree. There is a growing recognition, both within insurance or reinsurance and on the outside looking in, that the risk -> insurance -> reinsurance ->retrocession capital value-chain is too long and convoluted, with too many points where value is extracted by intermediation and therefore there are plenty of opportunities to disrupt this process. ILS players have been active in this trend, bringing direct capital markets funding from their institutional investors as close as possible to the source of catastrophe risks, with the fronting and program business trend gaining traction. Now we see technology start-ups also looking to improve the value-chain, with many seeking to replace levels of intermediation in the process and the growing buzz surrounding fintech (financial technology) and insurtech (insurance technology) ensuring that this is only going to pick up pace. But reinsurance firms, like Swiss Re, are active here too. 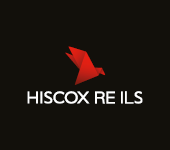 With their corporate risk solutions type units providing large, complex coverages directly to major companies, governments and organisations around the world. In a letter from Swiss Re Chairman Walter Kielholz, published this morning, he explains that reinsurers traditionally gain access to risks through intermediaries (brokers, direct insurers or others). And that is the key to the secular and structural changes being seen in reinsurance, they are all about efficient capital deployment. To enable this efficient deployment of capital to risk, disrupting the value-chain is essential. The emergence and growth of alternative reinsurance capital, insurance-linked securities (ILS), catastrophe bonds and ILS fund managers, is all about efficiency of capital matching with risk. Take the most efficient source of capital, efficiently package risk and syndicate into a liquid market, that was the ultimate goal. That has of course developed into the more recent trends of ILS fund managers deploying capital into structures allowing them to gain more direct access to insurance risks, taking out the effects of a syndicated renewal market and allowing them to reinsurer portfolios of catastrophe risk directly. Swiss Re is clearly following a similar path. “Swiss Re has to have access to the risks it wants to underwrite,” Kielholz explains, going on to describe initiatives such as Global Partnerships, which develops opportunities with governments and supranational institutions, and its Life Capital Partners, which accesses life risks through distribution or by buying closed-books, as examples of this trend. We’d also add the reinsurers corporate solutions work as an example of the firm seeking to more directly access risk and more efficiently deploy its capital. So Swiss Re may be heading down a similar path to the ILS market, the technology start-ups targeting re/insurance and other new business models which seek to more efficiently match risk and capital. Insurance technology initiatives are set to disrupt the insurance and reinsurance market considerably, although many are missing the bigger opportunity of replacing the value-chain rather than just the intermediation points. But don’t discount the efforts of major global reinsurance players like Swiss Re, who with their capital, reach, expertise and experience, could look to disrupt the risk to capital value-chain just as effectively (perhaps more so), and in doing so could actually secure a much larger share of the market for themselves. Insurance and reinsurance is one business where domain knowledge is everything and here the large incumbents, like Swiss Re, have a significant advantage. Of course the disadvantage sometimes is legacy, scale and a lumbering tendency to innovate too slowly, something Swiss Re, as well as others like Munich Re, have been actively seeking to avoid with its work with technology start-ups and its use of alternative capital as well. The first question is, will a Swiss Re throw everything into disrupting the risk to capital value-chain, or are its relationships with intermediaries just too important as they still hold the keys to so much of the risk? The second question is, can Swiss Re innovate quickly enough to fend off the growth of ILS capital, the technology upstarts and the new business model generations? Questions that the reinsurer will be discussing at the highest levels no doubt and that the upstarts and competitors will be attempting to second-guess.